Google has posted a support page with details on checking and updating your Android version pertaining to Nexus devices specifically. It starts off with giving you the basics on how and where to update your Nexus phone or tablet, why you can’t download the update, and end date software updates for the devices. Each Nexus device receives updates for two years after being released and usually before any other Android handset out there, unless the manufacturer pushes that update around the same time. With Google posting this information, it gives better detail as to when certain Nexus devices will stop getting supported and updated. 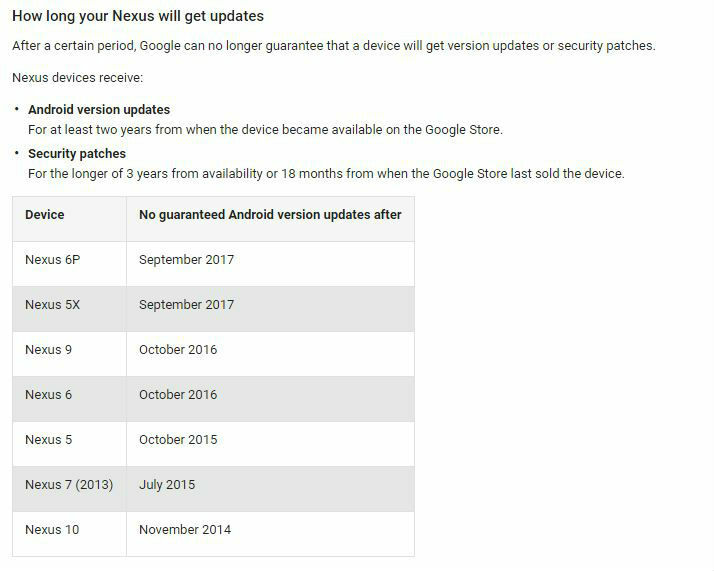 Security patches on the other hand will be “the longer of 3 years from availability or 18 months from when the Google Store last sold the device.” Using the Nexus 9 for example, the last time the device was sold in the Google Store was April of this year, so it will stop getting security updates in October of next year, which is 18 months later. The table below will provide more insight on when said Nexus devices will not be supported. Android One devices will still be supported from partners for up to 18 months after the phone was released and will get at least one major Android update and some security patches. 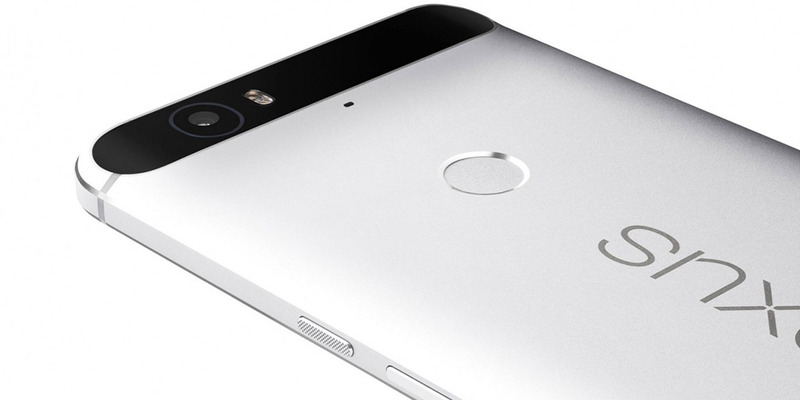 Google Play Edition devices (are those still a thing?) may not be receiving the latest Android updates if they’re outside the 18 month period. I still have my Nexus 6 and know this will be the last Android update I’ll receive, but I’m not too worried about getting any more for this device. If you have any of the Nexus devices shown above, how close are you to not being supported for Android updates anymore? What are your thoughts about Google posting this information on their support page? Let us know by leaving your comments down below, or on Google+, Facebook, or Twitter.